Cate Russell-Cole is a fully qualified Adult Education Provider and Social Worker; with an understanding of both the psychology and technical aspects of writing and creativity. She has been researching, writing and teaching her own courses since 1990, and is a successful freelance writer and book Author. Cate lives in Brisbane, Australia. She currently writes and coaches online to an International audience. Cate’s creativity and writing coaching has attracted thriving online communities, which she maintains frequently to provide both how-to resources and writer support. Cate also teaches locally through both the Local Government and private training providers. This book dissects conflict into its component parts; looks at how it works and helps you generate conflict plot-lines and themes which will add richness and realism to your work. The principles apply to any kind of fiction, regardless of the length, characters or genre. It is written by a writing teacher who also has a background in counselling. What Character Traits Go With What Type of Person? When Do Good Guys Morph Into Foes? 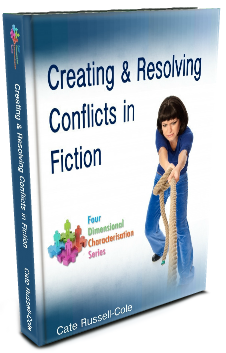 "Creating and Resolving Conflict in Fiction" is the first book in the Four Dimensional Characterisation Series. The series has been written to give writers an insight into the aspects of psychology that are the most invaluable for fiction writers. It will assist you in creating personality traits and behaviour patterns which make your characters realistic, unique and believable. This book in the series is focussed on conflict in any kind of relationship. Whether you are writing fiction, memoir, poetry, short stories, plays, screenplays or music, the ability of your work to touch others depends on how they relate to the messages you are conveying. What they see and hear must be something they have encountered and can relate to easily; or it must be shared in another way they can grasp. Often that is done through the only common element every human being has: knowing what emotions feel like. You can read a story about events which have never happened to you, but still laugh or cry over what is occurring with the characters. Why? Because you know what it is to experience pain, joy, fear, rejection, envy, fatigue, laughter, grief, ecstasy or doubt too. This is the magic that makes stories work. The tricky part, is conjuring up the right spell or your reader will not be fooled. 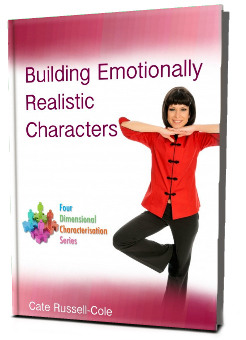 This e-book is a full of the incantations you need to bring your characters to life in a way that is emotionally realistic. There are no short cuts to "happily ever after" endings, which leave your plot line hollow and sounding fake. The book contains introductory level psychology which will give you an insight into how emotions and events weave us together into a whole or hurting person. Topics include: change, motivation, healing emotional trauma, post traumatic growth, grief, shock, super-egos and inferiority, escapism, fatal flaws, phobias, shame, violence, character types, suicide prevention, schizophrenia and multiple personality disorder. This is the second book in the Four Dimensional Characterisation Series. "Thanks, I enjoyed opening up to my creativity interesting that when I started looking into my own creativity I found a dearth of information and help just kind of flowed to me." "Very enjoyable course; inspiring and motivating." This e-book will help you turn your dreams into reality! It explores the process and practical aspects of creativity; and has been written for artists, writers, musicians, dancers, gardeners, cooks, craft lovers: anyone trying to tap into their creative potential. It looks at the mental processing behind creativity; philosophies that drive how we think about and assess our creative worth; creative character traits; historical role models; an extensive bibliography and web link list and more. The content is practical, not just analytical. 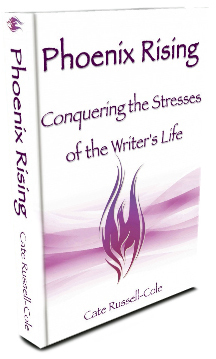 It will give you ideas on how to move forward in your creative life. 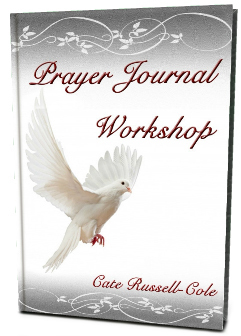 "Prayer Journal Workshop" has been designed to encourage you to start and maintain your own prayer journal: a way of praying on paper. It is specifically Christian and is a mixture of inspiration, how-to and practical exercises. It is suitable for any age group, from fourteen years upwards. Back pain affects more of us than any other complaint, including heart disease and asthma. It is an epidemic which is largely avoidable, but rarely addressed in public health education. I grew up watching my father struggle with debilitating, chronic back pain that was never adequately relieved. Many of his spinal problems came from being a manual laborer at a time when work safety procedures, such as safe lifting and posture, were not seen as a priority. Our family paid for that attitude for the rest of my father's life. Back pain took him out of the workforce, decimated our family finances and chronically stressed our home life. He was often depressed and aggressive due to back pain. Unsurprisingly, back care and safe lifting are educational issues very close to my heart. The information in this book is quite diverse. Taking care of your spine is an issue for everyone, including mothers; athletes; military personnel; the aged; computer users and office workers who battle with back ache due to posture; builders; manual laborers; and anyone who regularly lifts, bends and twists their spine to get tasks done whether at home, work or recreationally. This book evolved out of my work with a non-profit back injury prevention organisation. The medical content in this book has been checked and approved by a registered, qualified Spinal Surgeon with a Masters Degree in Spinal Biomechanics. When I left the organisation, it was agreed I could take my work and use it however I wished. In the spirit of what we were doing, I would like to make this e-book free so people can learn to avoid back injuries. What Type of Bag Do You Carry?